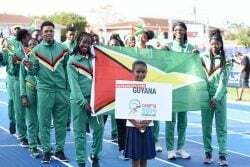 The Guyana national U-19 men’s hockey team arrived in Canada on Monday ahead of their Pan American Junior championships campaign which commences Friday and ends next Saturday. 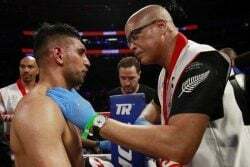 “The team settled into their accommodation at the University of Toronto grounds and had a taste of the six degree Celsius temperature on their early morning jog and stretching session on Tuesday, under the guidance of physical trainer Barrington Browne,” a press release from the GHB yesterday stated. The team was scheduled to have its first practice session on one of the university’s two artificial turfs, at 3:30pm yesterday and is scheduled to play a practice match today against a selection of senior Toronto club players. The team will have a final practice session on Thursday. 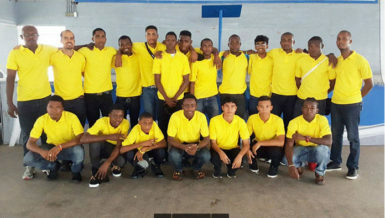 Meanwhile, three of the team’s most experienced players, Hilton Chester, Kareem McKenzie and Daniel Hooper, are expected to join the team tomorrow evening after completing some of their Caribbean Examinations Council (CXC) and Caribbean Advanced Proficiency Examinations, stated the release. The team will oppose the tournament’s third seed on Friday at 3:00pm. In their remaining two group fixtures they will play Mexico on Saturday at the same time and end against second seed Canada on Monday at 5:30pm. “We will use these first few days to get the boys comfortable with their surroundings, acclimatized to the conditions and adjusted to playing on the turf. We usually get better as tournaments wear on and we adjust to the faster pace of play that the turf allows. 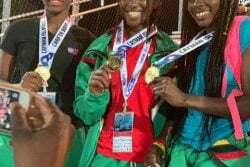 So hopefully by arriving here early and having three sessions on the surface we will be firing on all cylinders by Friday,” said head coach Robert Fernandes. 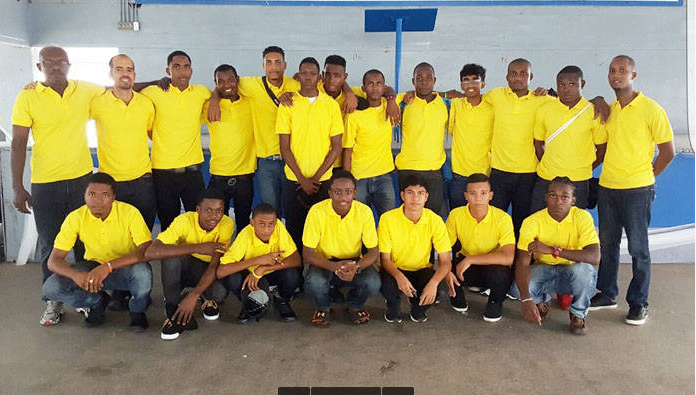 The national team reads Mark Sargeant (Cap), Medroy Scotland (GK), Michael Hing (GK), Kareem McKenzie, Keon McKenzie, Daniel Hooper, Shaquille Leung, Meshach Sargeant, Rosario Ramsammy, Aroydy Branford, Andrew Stewart, Leon Bacchus, Jael Gaskin, Omar Hopkinson, Hilton Chester, Ato Greene, Paramanand Dindial, and Nyron Joseph. On the management side, Robert Fernandes will serve as the head coach while his assistants will be Dwayne Alleyne and Marvin Dannett. Similarly, Hubert Forrester and Barrington Browne are the Manager and Physical Trainer.